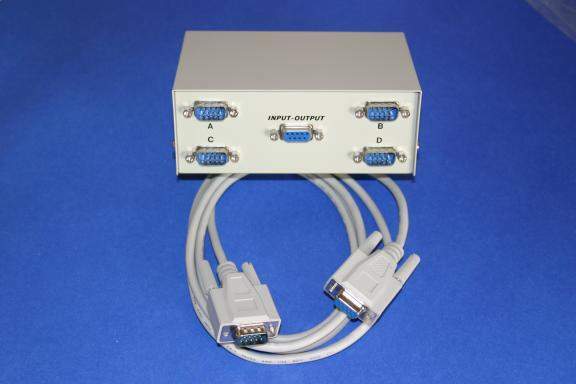 4 serial port Switch. Includes a 6' cable needed to switch one serial for four serial style devices. Can be used in Either Direction might Require Additional Cables. Uses include: switching between four mouse devices, switching between four serial devices.